Below are many of the events we have hosted/volunteered at over the past couple of years! The Past charities: Chinmaya Organization of Rural Development (CORD), Action Against Hunger (AAH), Global Give, and Read and Feed! An event for teens grades 6-12 participate in sports, games, and arts and crafts that we help the town host​ every month! 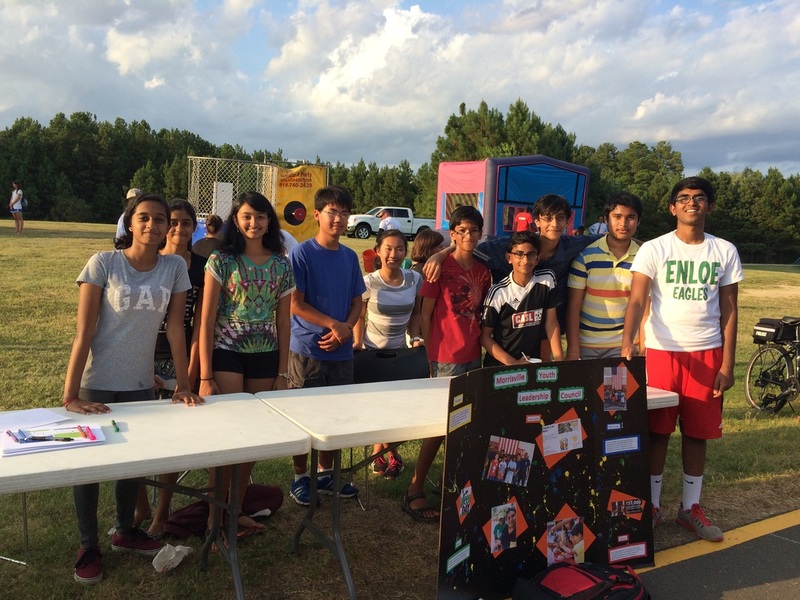 An event held by the Town to stand up against crime, where we helped out at many booths and even set up our own MYLC Booth!